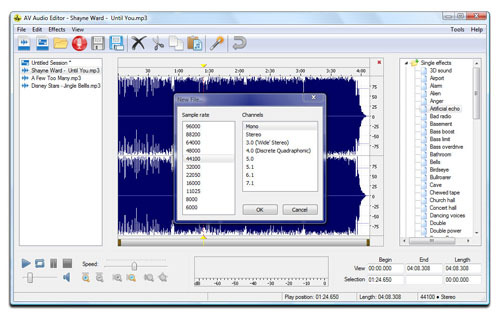 AV Audio Editor is a simple but powerful & FREE audio editor that will suit both beginners and professionals for editing and morphing audio. 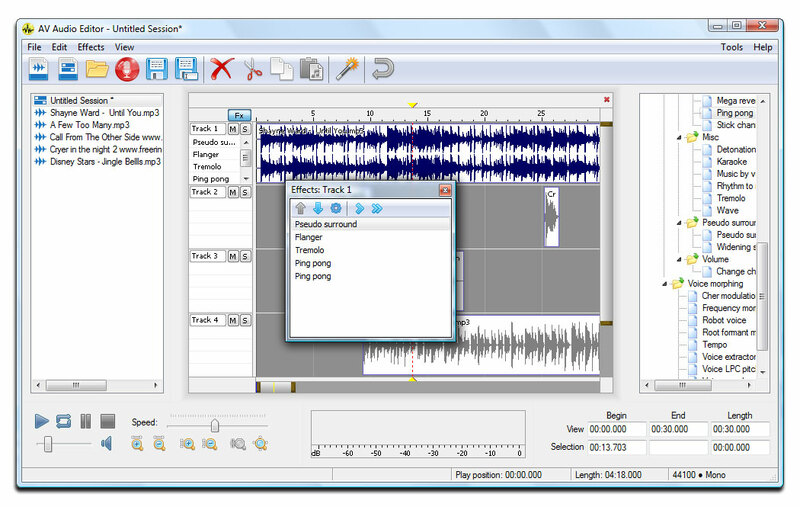 It can import recordings from AV Audio & Sound Recorder, which is a free Windows audio recorder for editing, and then save the output in various formats including AAC, MP4, MP3, FLAC, APE, MPC, OGG, SPX, WV, TTA, WMA, etc. 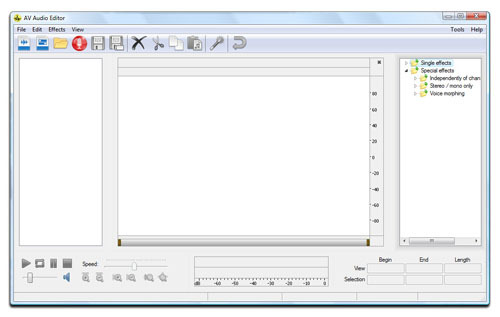 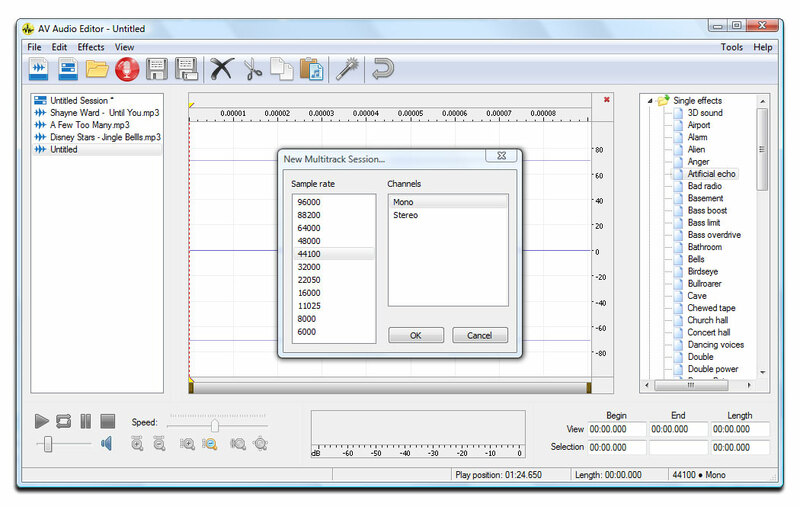 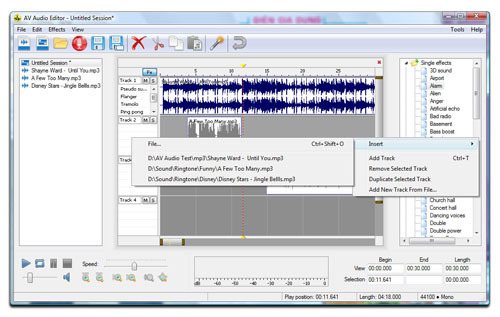 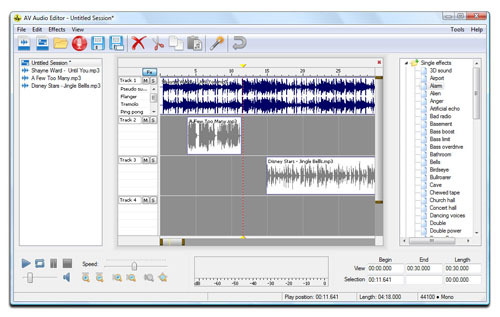 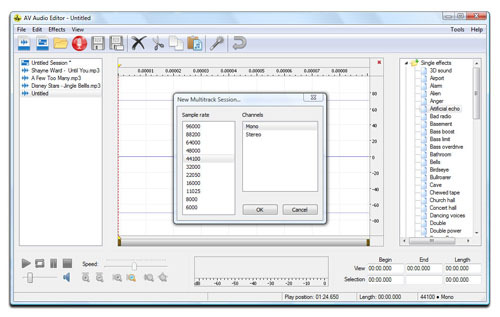 Quick-edit audio files with common actions, such as copy, cut, paste and merge. Advanced audio editing with powerful audio effects and filters. 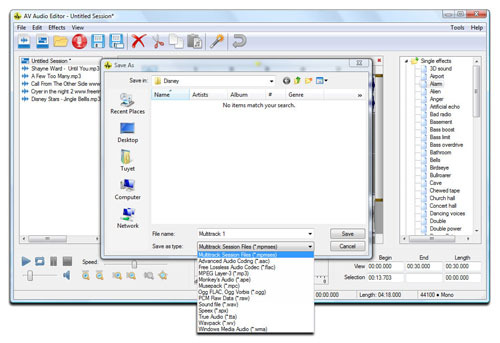 Save the edited file in one of over 10 different common file formats. 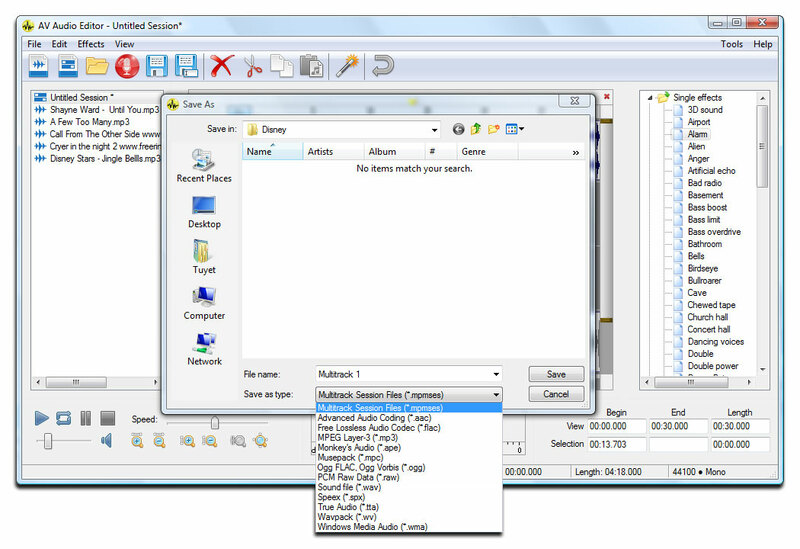 Allows editing multiple files at the same time. 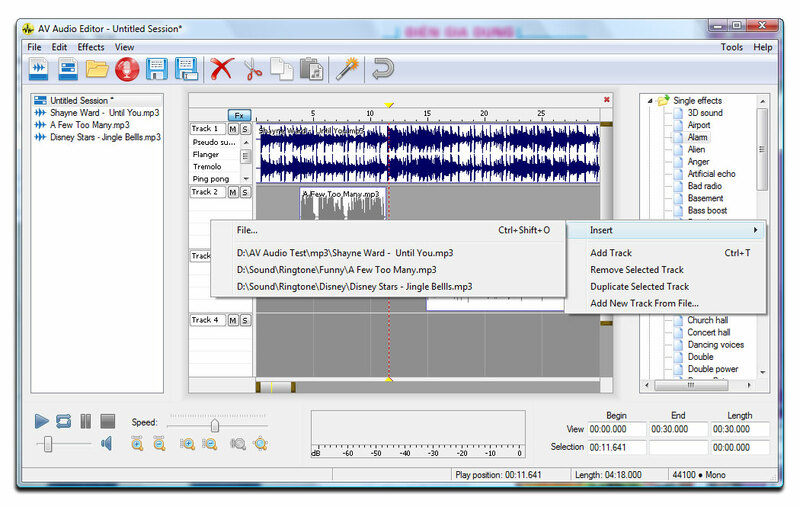 Includes a basic player to review the editing.